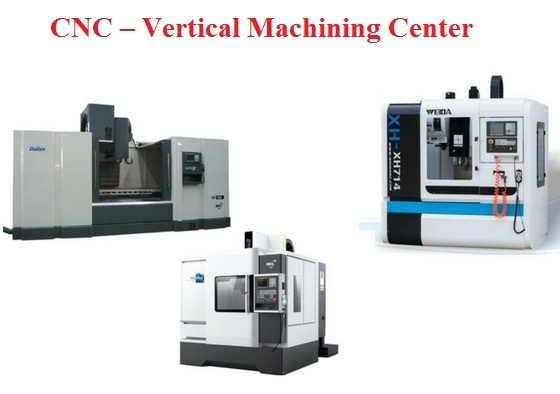 The available models for CNC Machining Center include DL – MH series and the TD Series for drilling and tapping centers. 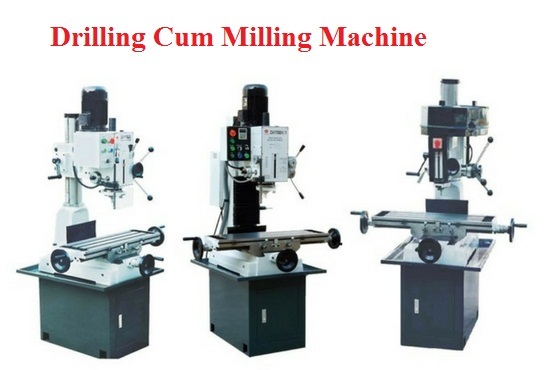 The CNC machines are able to guarantee long term reliability and efficiency through sturdy construction, high quality manufacturing material and automatic lubrication systems. The CNC machines are also equipped with automatic tool length setters that ensure allmeasurements during production are highly accurate and there is no material wastage. 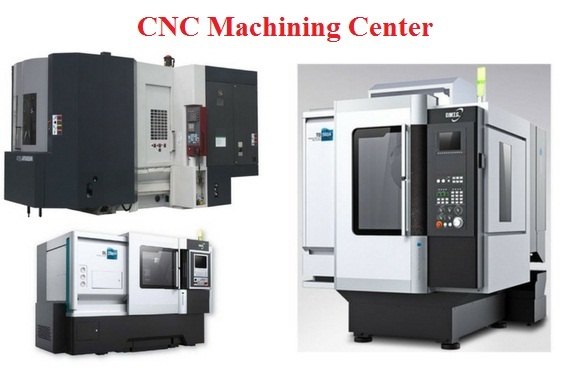 The machining centers are also equipped with programmable logic control systems as well as automatic memory system that avoid repeated calibrations when similar work pieces are being operated. The equipment can also accommodate a wide variety of spindles required during the different operations. 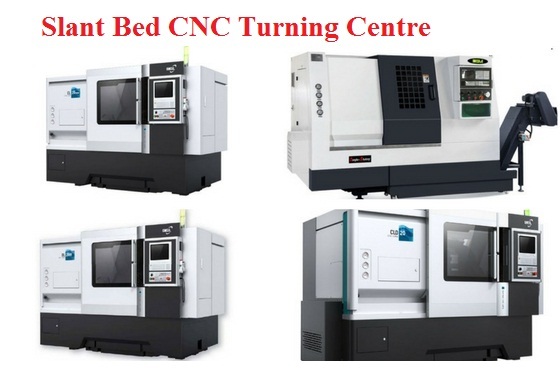 Slant bed CNC Turning Centre is a high speed production lathe that has a high precision and a bi-directional indexing turret. The eight station tool turret increases the production efficiency and decreases waste. The guide ways are also developed in a way to ensure accuracy and high level of feed as well as cutting speeds. The 45 degree slant bed CNC turning centre feature of the bed enhances the accuracy of operation and machine stability. The spindle structure is also designed and mounted in such a way as to prevent deformation of the work piece. Long term accuracy is guaranteed through sturdy and rigid framework that eliminates unwanted vibration. Some of the units come with enhanced tool management system for easier tool changing, automated lubrication and very user friendly control system for smooth operation. 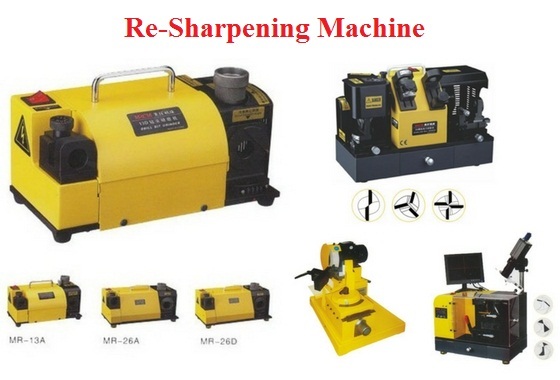 Re-sharpening machine is a very innovative equipment made to withstand rigorous and hard metal sharpening operations. It delivers very precise grinding results with an accuracy of up to 0.02mm. The equipment is easy to learn and operate and will sharpen a drill bit in 20 seconds. The power consumption is good and the grinder usage of approximately 0.2 mm. The quality of the grinding wheel has been ensured by using diamond dust wheel grinding material. The tool box is also well secured. Some of the units are portable hence can be used at the work site. Various models of drill bit re-sharpener and universal drill grinders are available depending on the customer’s needs in machining. 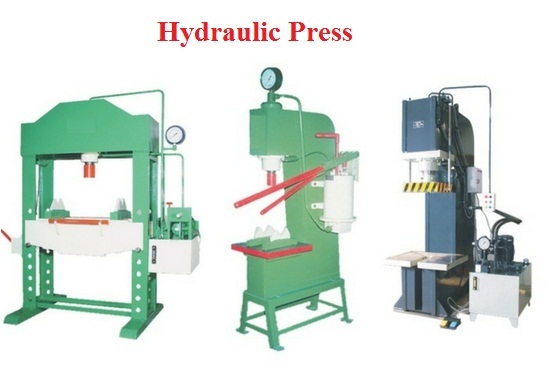 Some models of the hydraulic press include the c-type hand operated press, c-type power operated, H-type power operated press. The pressing equipment is built with great versatility and designed to run at variable strokes and die sizes. They are developed to handle various production needs and different tool sizes as the production demands. The ability to have variable stroke length allows for various applications including punching, straightening, pressing, transfer molding and other applications. Due to the variable stroke length, a wide range of die heights can be used and still be able to maintain the required tonnage during operation. This entry was posted in CNC lathe, Slant Bed CNC Lathe Machine by Yash Shah. Bookmark the permalink.